Peel the banana and cut of a piece of 2" and set aside, you'll be using that for your topping later. 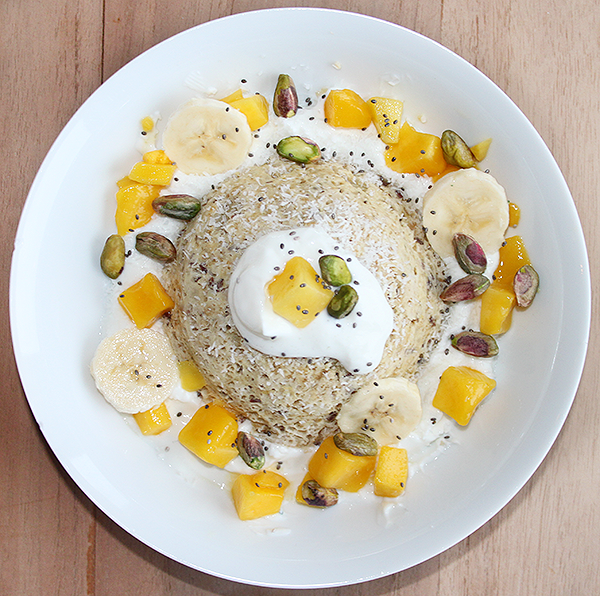 In a small bowl, mash the rest of the banana and add an egg and the oatmeal. Mix until you've got a smooth batter. Stir in the flax seeds and coconut grater. Put the mug or bowl into a microwave for 2 minutes on 900 - 1000 W. It should come out dry and the sides of the cake not touching the mug or bowl. 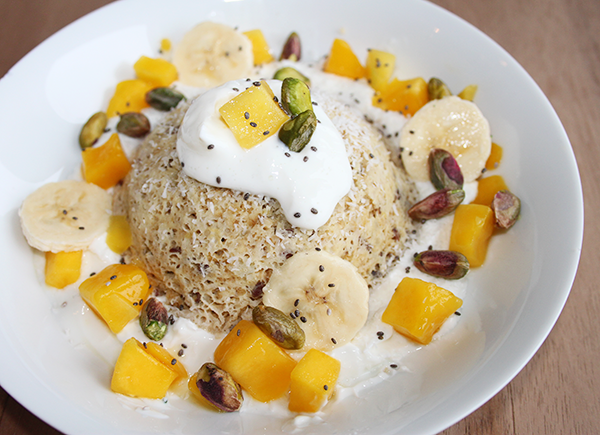 Turn your mug or bowl over on a plate and there's your cake! Now it's time for toppings! 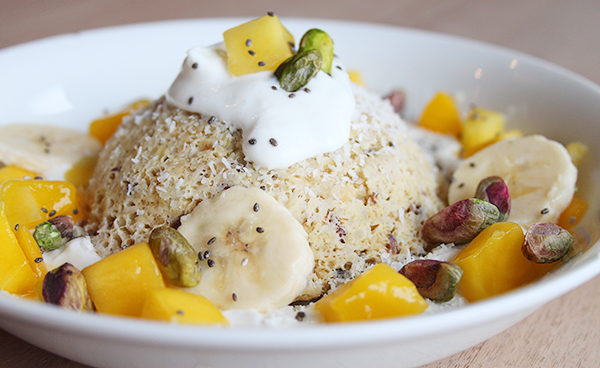 For this tropical version, I've used some low-fat quark, mango, slices of the piece of banana you set aside, pistachios and chia seeds. But you could top it with anything you like or have in your pantry.